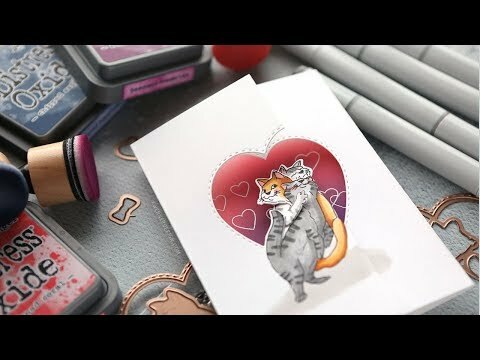 Creating an fun card using Twist Ties stamps and dies from Art Impressions. Hello, all! Do you remember my first Art Impressions Twist Ties card from last year? When I saw this cat version, I just had to make it! So today I’m making a card using the Twist Ties Cats stamp and die set from Art Impressions.